Are you looking for the right western wear and cowboy boots complete your look? If yes, then we can help. True western wear can transform the way you look and feel. However, you need to get the best fit and quality so that the look is right. 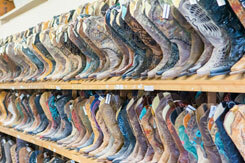 We can help you find the best cowboy boots for work, play or casual wear. You can find jeans and hats along with the boots to complete your look. Available in a variety of colors our cowgirl boots will meet any need you may have. Our unique designs of western boots have others asking where you found them. 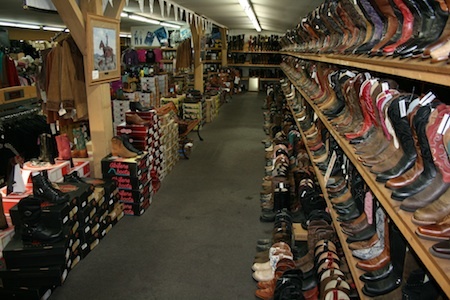 As a reliable retailer, we only stock cowboy boots and cowgirl boots from reputable manufacturers assuring you of the highest-quality products. We are proud of our customer base. Read the reviews about our products, prices and our services from the customers that we have served in the past. They tell it like it is! 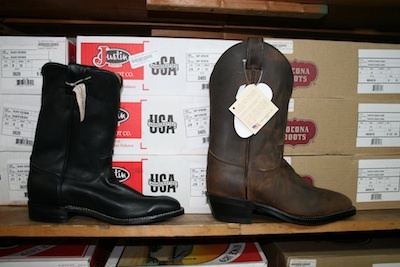 Feel free to contact Country Square Western Wear at 253-220-7674 for all of your cowboy boot, western wear or cowgirl boot and accessory needs in Tukwila.